Do not spend one more winter parking your car outside! 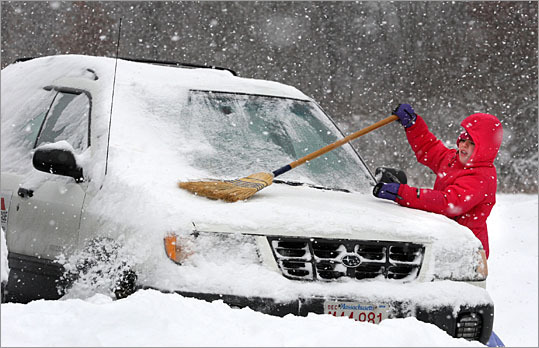 Not only is it a hassle to start your car early to warm it up and scrape windows, but it is bad for the enviornment, wastes gas and it a safety issue (how many cars do you hear about getting stolen each year). Wouldn't it be so nice to just walk out to your beautifully organized garage, start up your car and immeditely get on your way? We can help you accomplish this goal with our custom garage storage solutions! We have different finsishes, styles and price points to fit your budget so stop by our showroom to see how we can help you take back your garage! We are located at the corner of Chinden Blvd and Eagle Road and hope to see you soon!